Daniel Craig‘s contract for playing James Bond is almost up, which means it’s time for him to play coy about returning to the role — the de rigeur contract-negation ploy. 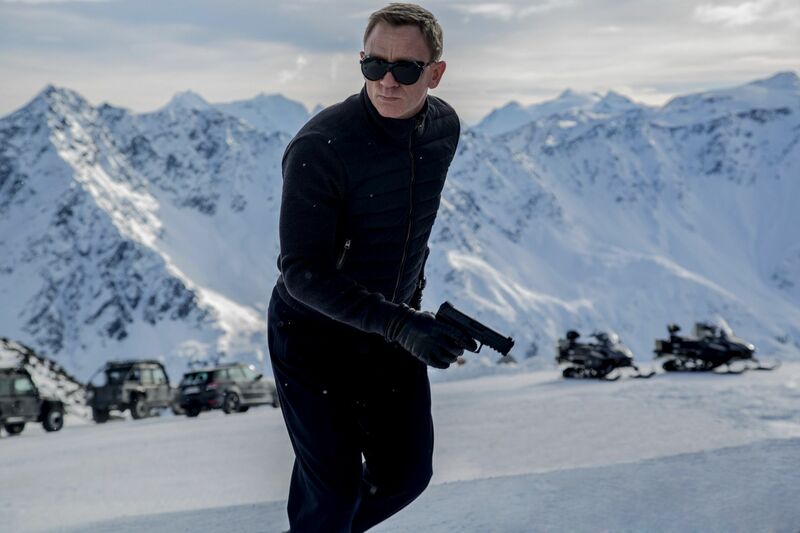 Here are a couple of brand-new images from “Spectre,” the 24th film in the James Bond franchise. It once again stars Daniel Craig as 007, this time joined by Léa Seydoux. Sam Mendes, who directed the highly regarded SkyFall, returns to the director’s chair once more. This movie formally introduces SPECTRE to the rebooted Bond universe. Take a look at that chess board in front of Bond. Is he playing a real game? The board and pieces appear to be covered in dust. And, more importantly, the white queen is on a square adjacent to the black king. How the hell did that happen? Bond’s opponent is sacrificing his queen rather than killing Bond’s king! In this film, a message from Bond’s past sets him on a trail to uncover a sinister organization. While M battles political forces to keep the secret service alive, Bond peels back the layers of deceit to reveal the terrible truth behind Spectre. Spectre also stars Ralph Fiennes, Ben Whishaw, Naomie Harris, Rory Kinnear, Christoph Waltz, Monica Bellucci, David Bautista and Andrew Scott.